The last thing you bought. - page 2 - word games - Furtopia | Family Friendly Furry Forum and IRC Chat! Re: The last thing you bought, game. Assorted groceries, a book, and a new Lego set. "When you cannot joke about the darkness of life, that's when the darkness takes over." Fun fact: I write music. If you have a second, have a listen. Today I bought premium gasoline to try the experiment Narei talked about in his thread about ethanol vs non-ethanol gas. A 4-port VGA Video Splitter and Enhancer! A Cisco 1900 series 10baseT Ethernet switch! A Cisco serial console cable! Assorted Linksys 100baseTX Ethernet switches! A boxed copy of IBM OS/2 Warp version 3 and a huge bag of assorted software for it! An external USB CD burner! Other assorted pieces of wonderful inexpensive junk! If none of this stuff sounds incredibly amazing or wonderful to you, you're actually not the only one. Unfortunately, even I have to admit that pickings at the hamfest were slim this year. Normally when I go to a hamfest there are at least one or two things that I see that are "I have got to have this!!!" items. For example, last year at this very same hamfest I found an in-box Commodore 64C computer, a 1950's Bakelite "Police Alarm" police band FM vacuum tube-based tabletop receiver, and a book on laser holography. Now those are things that I can really get excited about! This year however there just wasn't really anything there that got me all that excited. And on top of that, it seems like the attendance to this hamfest seems to be significantly dwindling from year to year. I don't know why, but even though the total number of ham radio operators in the U.S. have increased year after year for the past three years, attendances at pretty much every hamfest that I go to have dropped steadily across the board for the decade-and-a-half that I have been going to them. Some are literally half the size that they used to be, and that is really a shame, because along with furry conventions, hamfests are one of the few events that I look forward to attending year after year. Oh well, maybe I will find some better stuff when I go to my next hamfest in May! I bought dinner ^_^ chicken strips and french fries. delicious. A pack of spearmint gum and a turkey croissant sandwich. Bottle of Cherry Berry Blast Tropicana Twister fruit drink. Dairy Queen Grilled Chicken Sandwich combo... never again.. yuck.. their grilled chicken is terrible. 'Arf pint o' bitter. (I was referring to beer 'in' a Cockney accent!). 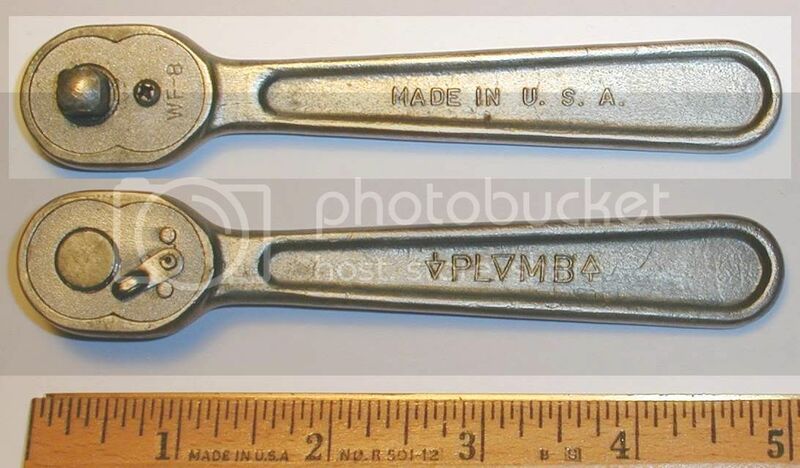 A Plomb 9/32" drive ratchet at a yard sale for $5. Even MORE tarot cards! YES!!! A bottle of orange juice (£1.25 for a 330ml bottle! Highway robbery!). One pine board for a shelf, and a whole bunch of Lego. "Who am I to say where my possibly non-existent soul has or has not been." Some carbon fiber cloth (1oz per foot squared). Tickets to an EPIC Chinese play!